We help providers and payers simplify the administrative and clinical complexities of healthcare through innovative, integral and integrated applications and data analytics. Our vision builds on this, defining our persistent aspiration, which is to make ABILITY a great place to do great work, growing to benefit customers and employees alike. 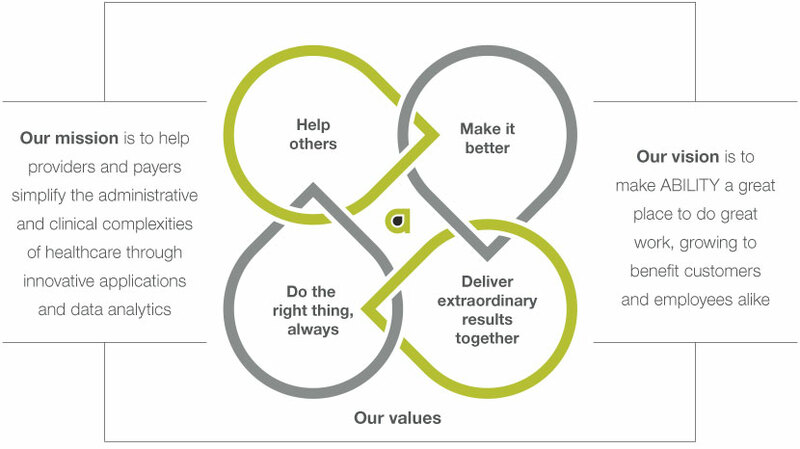 As an organization our company values guide our choices, both collectively and individually. From the executive team to the newest employee, our values embody how we interact with our customers, each other and our communities.